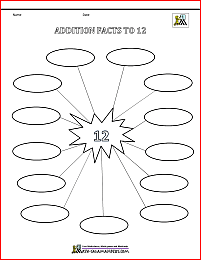 Welcome to our Subtracting Tens worksheet page. The sheets here will help your child learn to subtract multiples of 10 up to 100. Subtract multiples of 10 up to 100. Counting up and down in tens is a key skill for first grade, and is built on in future grades when counting in future grades. The sheets have been designed to help your child to learn to subtract multiples of 10 up to 100. The first two sheets have a number track with multiples of 10 up to 100 at the top of the sheet to support children. Sheets 3 and 4 are similar to the first two sheets, but with no number track. The last two sheets are at a more advanced level and involve finding two multiples of 10 with a given difference. These sheets are great for stretching more able mathematicians (or for 2nd graders)! 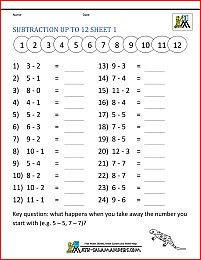 Your child needs to be able to subtract with numbers up to 10 before they can subtract with tens. Here you will find a range of Free Printable First Grade Subtraction Worksheets. 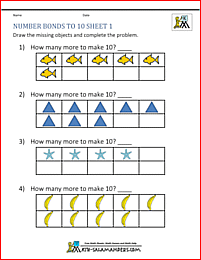 The following worksheets involve using the First Grade Math skills of subtracting. learn to subtract 2 digit numbers. Here you will find a range of Free Printable Addition Worksheets to support grade 1. 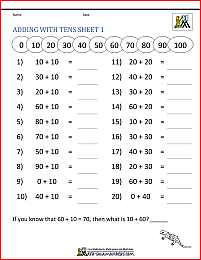 The following first grade math worksheets involve adding different amounts. learn to add numbers in columns up to 100. 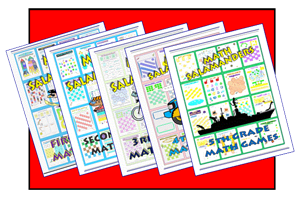 Here you will find a range of free printable First Grade Math games. All children like to play Math games, and you will find a good range of 1st Grade Math Games here for your child to play and enjoy. The following games involve different First Grade Math activities which you and your child can enjoy together. All the free Math sheets in this section are informed by the Elementary Math Benchmarks for First Grade.